Soupir is a village and commune in the Department of the Aisne, Northern France. Situated on the northern side of the D.925 road from Soissons to Guignicourt, about 20 kilometres east of Soissons. Take the D.967 from Laon towards Fismes. 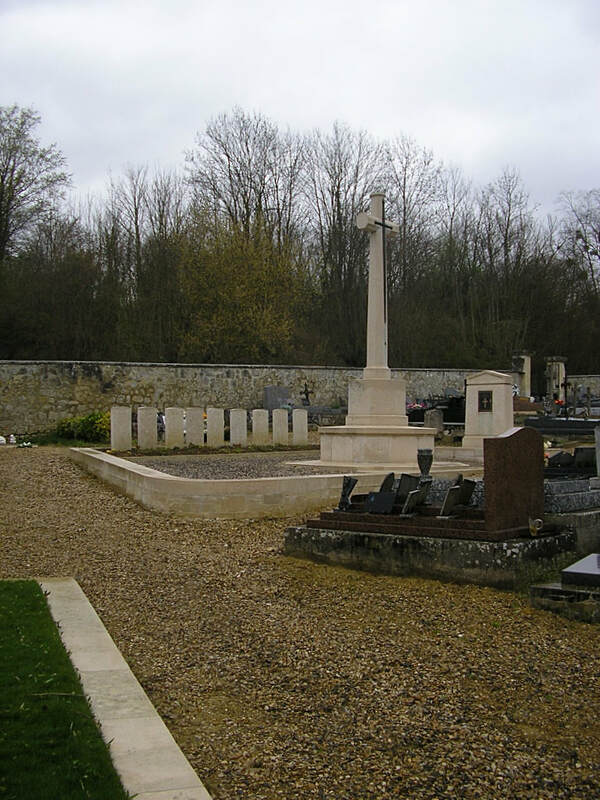 After passing the "1st Loyal North Lancs Memorial' at Cerny-en-Laonnois (17 kilometres), and after a further 1.5 kilometres, you will come to the Vendresse British Cemetery on your right which is then followed by the village of Vendresse-Beauline. Turn right after entering the village along the 'Rue de Beaulne' (D88), and after a further 6.5 kilometres you will arrive at the village of Soupir. 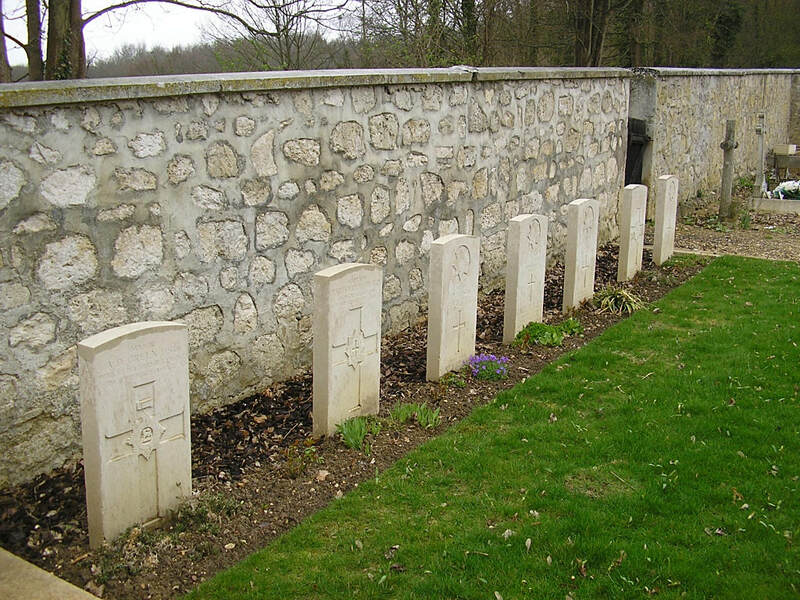 Turn right opposite the church along the Rue de Paris for 50 metres and then turn right again up a steep narrow road marked with a CWGC plaque. This road leads up to the Communal Cemetery. 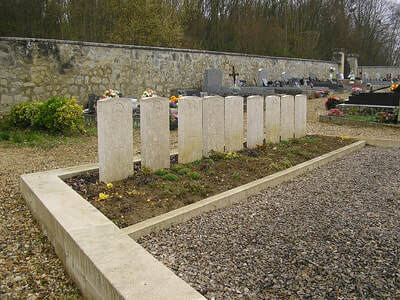 On entering the Cemetery through the main entrance gate, turn right and the 2 plots of war graves are about 30 metres south-west, close to the perimeter wall. The village was cleared by the Brigade of Guards on 14 September 1914 and on the same day, and for some days later, heavy fighting took place at La Cour de Soupir farm, near the head of the valley north-west of the village. Dressing stations were established at Soupir Chateau and at the farm. The village was in German hands again between 2 and 6 November 1914 and for much of the war it remained very close to the front line. Soupir Communal Cemetery contains 16 Commonwealth burials of the First World War. All date from September-October 1914 and were brought in after the Armistice from a position near the north-west corner of the village of Vailly.